Designed for middle-and high school age youth, the “Creating Our Future” curriculum consists of six modules, each focusing on a single core principle embodied in the life and work of Muhammad Ali — Respect, Confidence, Conviction, Dedication, Spirituality, and Giving. The aim is to guide young people in an exploration of these six core principles, encourage the incorporation of these values into their lives, and inspire the development of a “life plan” that reflects a positive sense of self, a commitment to community, and preparation for the future. The individual activities of each module focus on experiential and emotional learning, getting the participants to reflect upon, and express, their sense of self, sense of others, and sense of purpose. Modularized content allows the development of lesson plans that are flexible and customized to each group, time constraints, and social and cultural sensitivities. The curriculum can be delivered in a “train-the-trainer” format, or directly to participants by The Center staff. 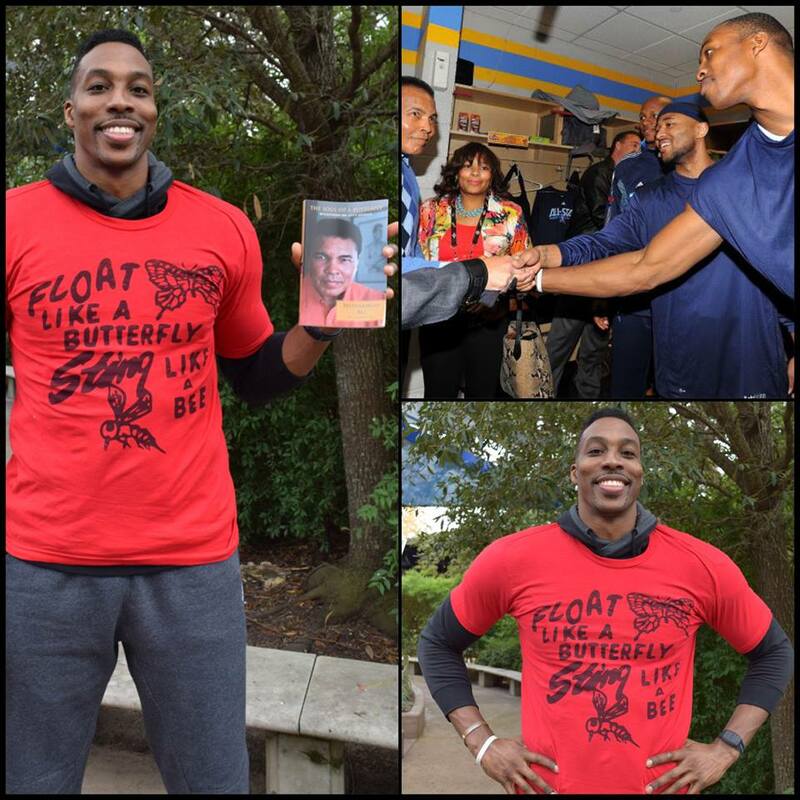 In 2016, the MAC formalized a partnership with NBA All-Star, Dwight Howard and the D12 Foundation. Through this partnership, in May of 2016, the Ali Center trained 40 youth workers out of the 5th Ward Center in Houston, on Muhammad Ali’s 6 Core Principles and the Creating Our Futures character education curriculum. The workers, in turn, implemented the curriculum in their summer programs, sharing Muhammad’s legacy with over a 1000 Houston youth. Next year, the MAC Education team in partnership with Mr. Howard, will conduct a similar training with 50 middle grade teachers in the Atlantic Public Schools. The MAC looks to continue strategic national expansion through additional resource development and strategic partnerships. For more information, please contact Erin Herbert at eherbert@alicenter.org. The Creating Our Futures curriculum can either be offered as an outreach at your facility or as part of an Ali Center guided tour. To learn about how the “Creating Our Future” curriculum was used quite successfully in Greater Clark County Schools in Southern Indiana, watch this video.